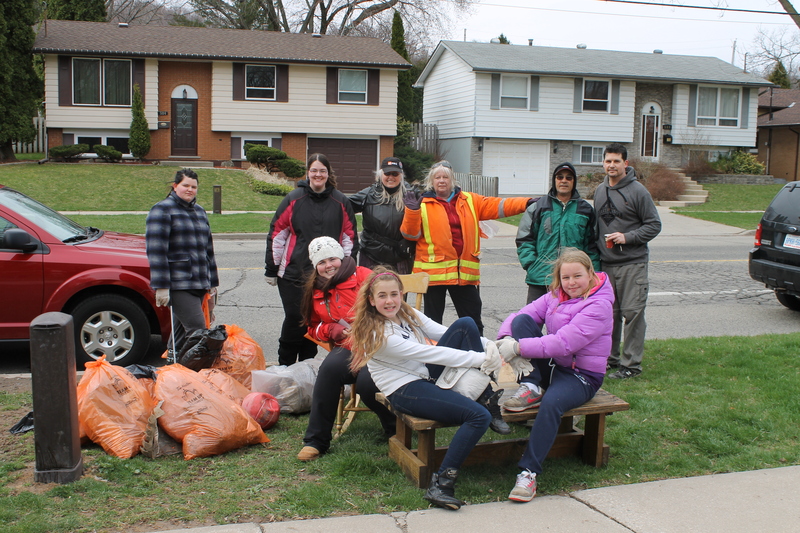 As a proud partner of Open Streets Hamilton, Green Venture is encouraging residents (yes you!) 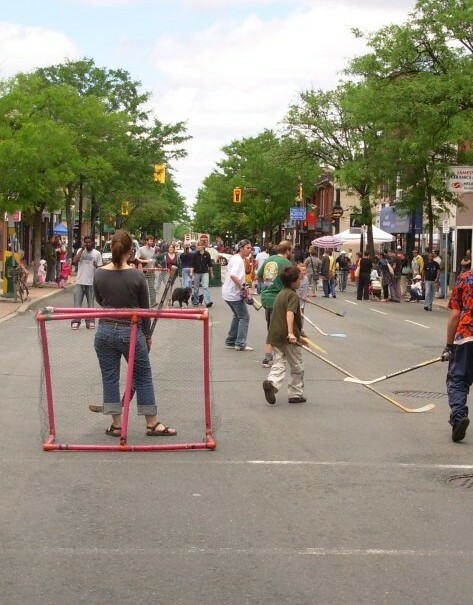 to get involved and help make Open Streets Hamilton a continued success. This event is only going to be possible with help from you, so get involved today! A volunteer planning meeting is scheduled for this Thursday April 4th. Contact events@openstreetshamilton.ca to become part of this dynamic team of volunteers (even if you are unable to make the meeting this Thursday, there are many ways that you can help). …to join our 2013 team! We hope you’re coming to Open Streets Hamilton: James Street North! Apply now and tell us how you’d like to help us open the street! WHO – Open Streets Hamilton Community Organization is a volunteer-run, registered non-profit organization. We are a community-based partnership dedicated to promoting active, healthy and inclusive lifestyles by temporarily transforming streets into a shared space for everyone to experience. Our motto is “Make the Streets Your Playground”. Sunday, June 23rd, 2013, will mark our 7th car-free Sunday in Hamilton since June 2010! We will be hosting our next event on James Street North, in Hamilton, Ontario (final route details TBA). Our volunteer planning team is open to all volunteers and meets at YWCA Hamilton (75 MacNab Street). Please note YWCA Hamilton is an accessible building, has outdoor bike racks, and is only a short distance from both the MacNab Street bus terminal and Hamilton GO Station. (Paid parking is available at City Hall. )Our next event is on Sunday, June 23rd, 2013 (10am* to 5pm – *road closure starts at 9am, set up is between 9am and 10am). Planning team meetings take place starting April 4th on the first and third Thursday of every month from 5:45pm to 7:45pm. All volunteers will receive minutes from planning team meetings and are welcome (and encouraged) to attend and assist with the planning process! Click here to submit your application to join our June 23rd, 2013 event! A team of returning volunteers will review your application and confirm your registration upon approval. See above for more information about the kind of help Open Streets Hamilton is looking for. 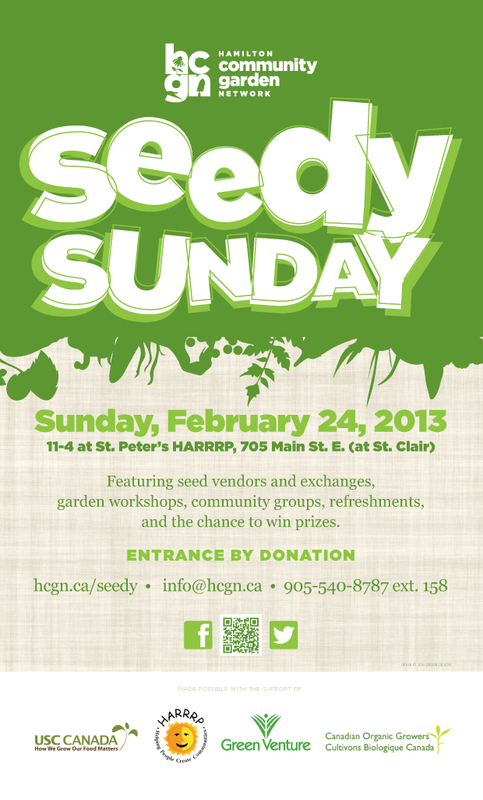 Sunday, February 24th, 11am-4pm at St. Peter’s HARRRP, 705 Main St E (at St. Clair). 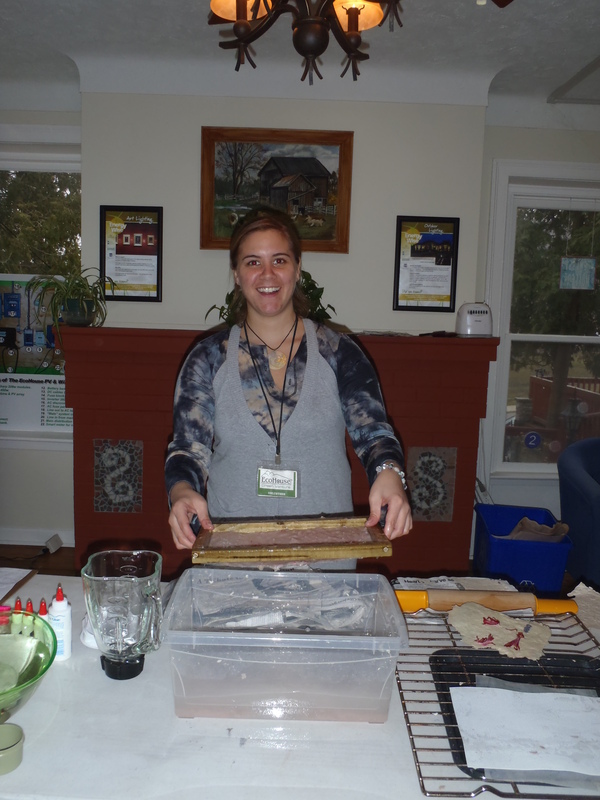 Brought to you by the Hamilton Community Garden Network (HCGN) and Green Venture with support from the Canadian Organic Growers, Hamilton Chapter and The Bauta Family Initiative on Canadian Seed Security. Seed swap and garden celebration where all are welcome to get seeds and garden supplies through exchanges and vendors; learn about local community gardens and organizations; attend workshops and demonstrations; enjoy lunch and refreshments from Hamilton food trucks and restaurants; and win great prizes. Entrance by donation to support the HCGN. On street parking. For more details and information on accessibility contact info@hcgn.ca, 905-540-8787 ext.158, or visit here.